I once saw an old man in Mindoro who went in the sea with a bucket and a knife. After an hour, he came out and was already burping. He said he just had his lunch and had sea urchins. I found him weird. 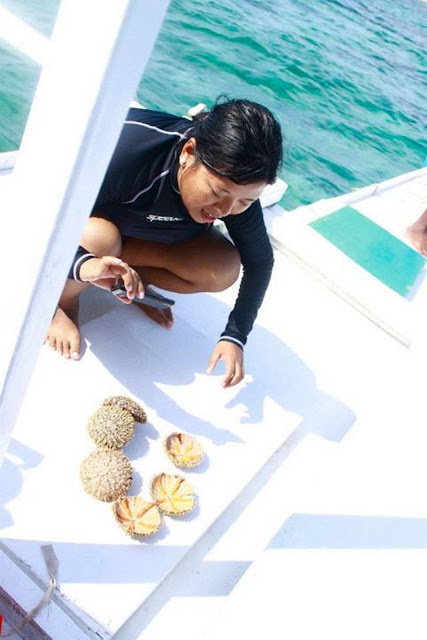 Year 2011, as we reached Virgin Island, we were greeted by local vendors who shocked us for a minute or so because we haven't even gotten out from our boat and they were already offering us something. Sea Urchins on their trays and on the other hand a spoon with the Sea urchin roes. They were selling it for 20 pesos each. One vendor was even shoving the spoon near my mouth which I found it a bit rude but I don't think he meant to be. He was just persistent. Some of my travel buddies tried it but I didn't just because of sanitary reasons. I don't know how they cleaned those spoons after shoving it to other people's mouth. Then after our island hopping, our boatman took us to a place in the middle of an open sea where we can swim and snorkel. He got us sea urchins too and this time I was confident and excited to eat it. He opened them with a spoon which was a bit hard for him as it would be easier if it was a knife. The roe or gonad is the edible part. It's orange and some are mustard in color. 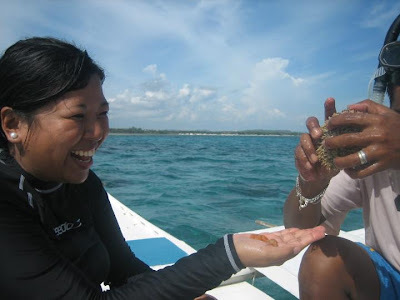 When you take it out from the shell, it looks like poop hehehe Our boatman was all about sanitary which I liked (we might have the same thinking when we were at the Virgin Island) He made us wash our hands first before he gave it to us. Fresh from the sea and no vinegar added, we all had our rounds. I had two rounds =) It has a taste of alige (crab roe) It wasn't bad and it would be something I would eat again. You can now call me weird too. They are cousins of Starfish or sea star and sand dollars. It has different names in different regions. “Maritangtang” in the Ilocos Region, “Kuden kuden” in Bolinao and “Tuyom” in the Visayas. "Tujom" is what they call it in Bohol. They have tube feet which is essential to breathing and feeding. They move using their spines. Oooohh....see their roes or gonads? There! I ate it! No vinegar added. 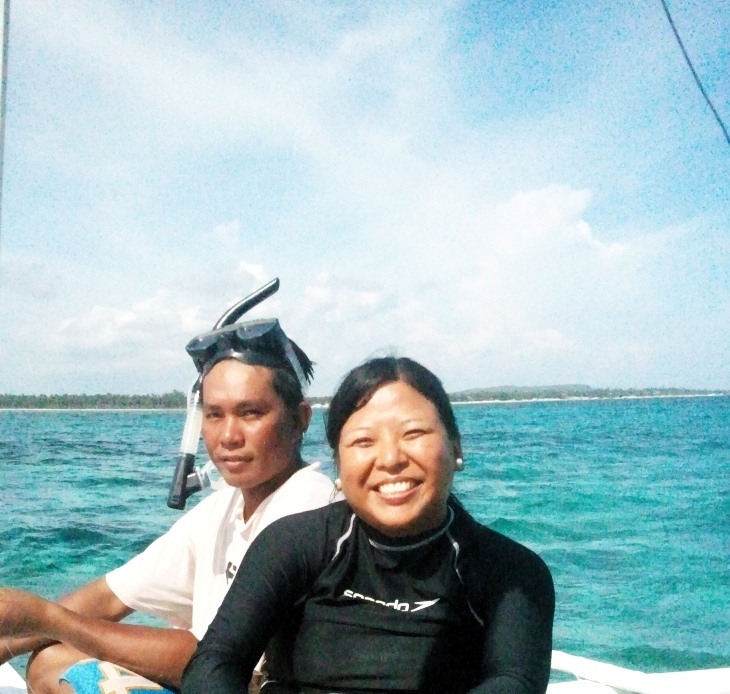 Our super nice na boatman. I forgot his name. Darn. Some photos are from Roberto Chando, one of my travel buddies. Tinakits - it was okay. not that bad. 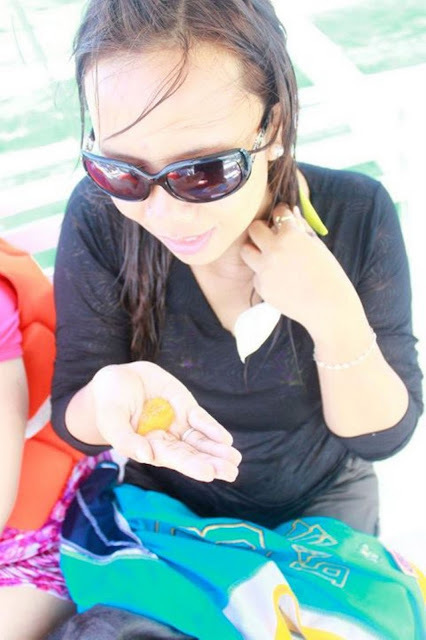 I'd go back to Bohol anytime. 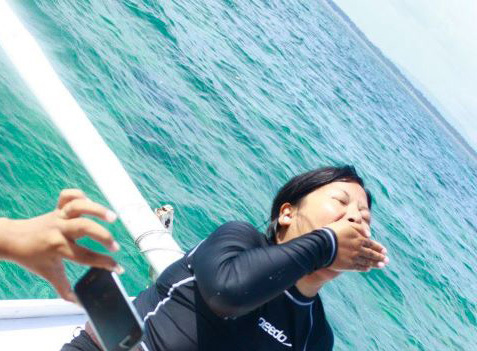 I love the people in Bohol.Super! Nicest. I also tried the sea urchin, and I liked it!